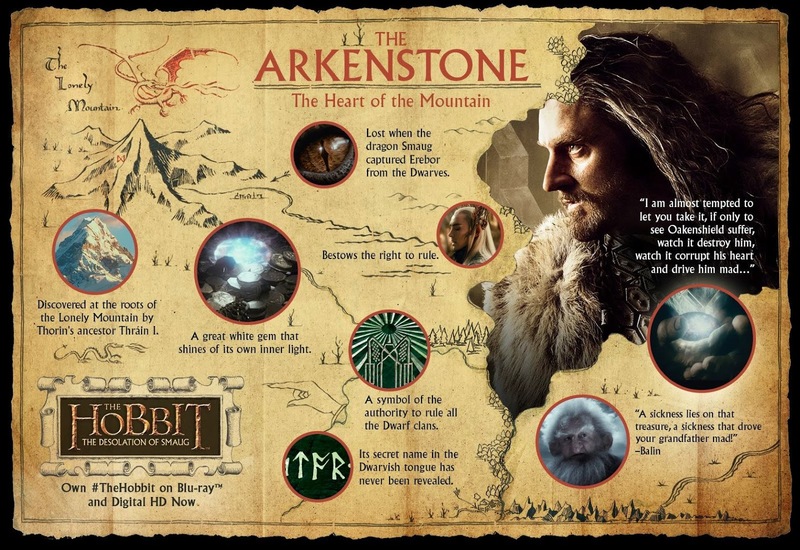 Check out this very cool poster about The Arkenstone! You might recall last year that Warner Bros published a series of posters to coincide with the release of The Hobbit: An Unexpected Journey on DVD and Blu-ray. Here’s a new one with some neat movie-canon factoids about The Arkenstone for the release of The Hobbit: The Desolation of Smaug.